I reblogging this because it is pretty awesome and I want to remember where I saw it! 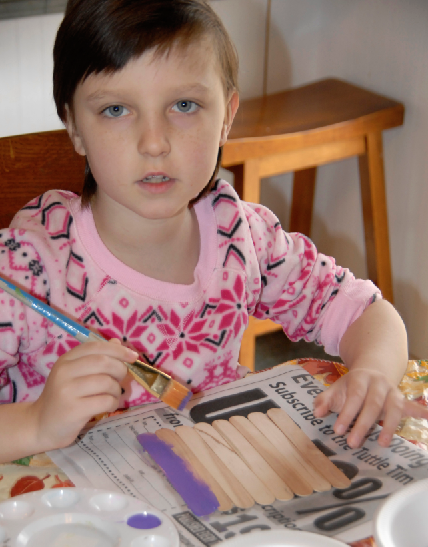 As many of you know, my eldest granddaughter, Isabelle, has Leukemia – AMPL to be exact. The event had face painting; Isabelle opted for less is more. She has undergone treatment and is in her second year of maintenance meds. So far, she hasn’t been sick even one time in the past year (we give God all the glory for that miracle). The only problem she has is when she is on her ATRA rotation of meds. ATRA, short for something I can neither pronounce nor spell, is basically high toxic levels of Vitamin A. When she is on this drug, she gets horrible migraine headaches. The kind that take a lot of pain pills, nausea medication, darkness and quiet to help her exist. Its not fun, but thankfully it is only 15 days out of every 90, and Rebekah thinks she only has two rotations left. 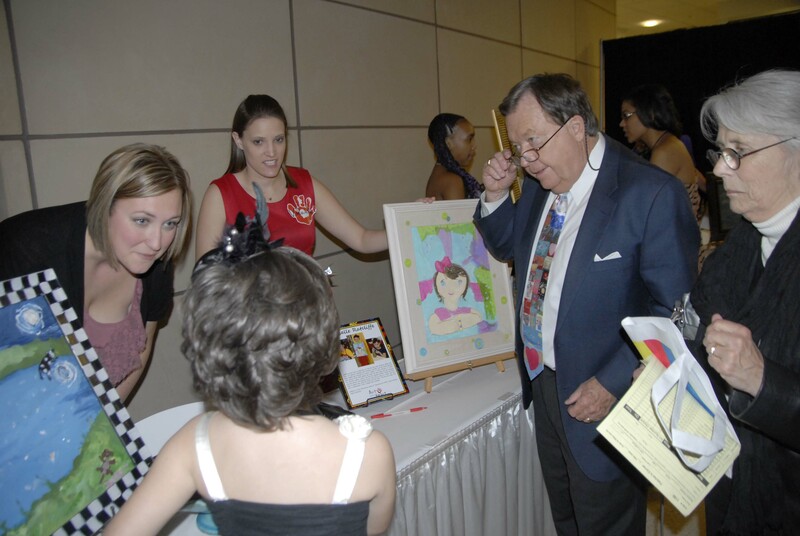 But still, 15 days is a long time to a child, especially when something important is coming up like the annual Art With A Heart gala. 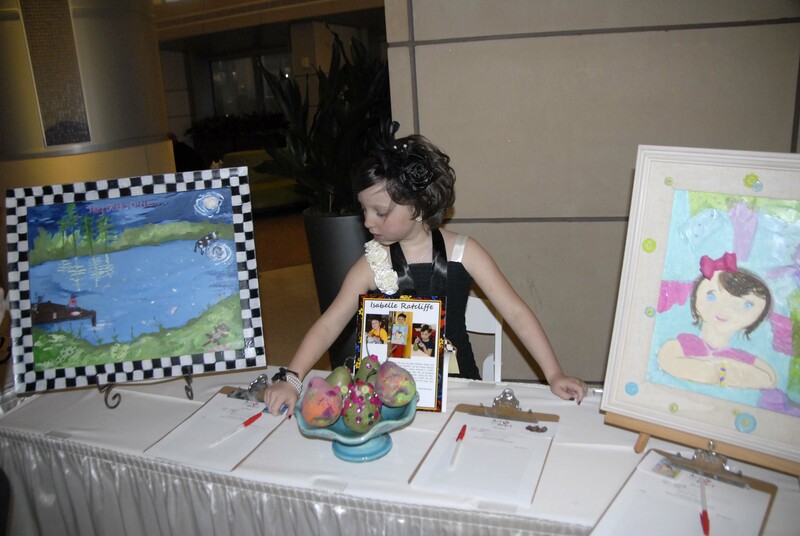 Isabelle works hard, plans and anticipates this event all year. 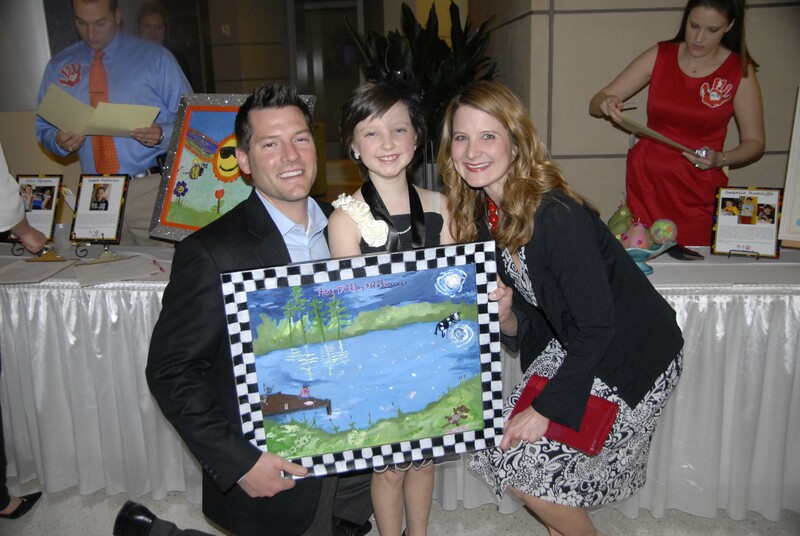 This year was to be her second year to have paintings entered into the auction. She had worked very hard on two paintings, a piece of craft art and several small pieces that were part of the large combination pieces that were to be cut up and sold off. You guessed it; her 15 days fell exactly on the much awaited event. 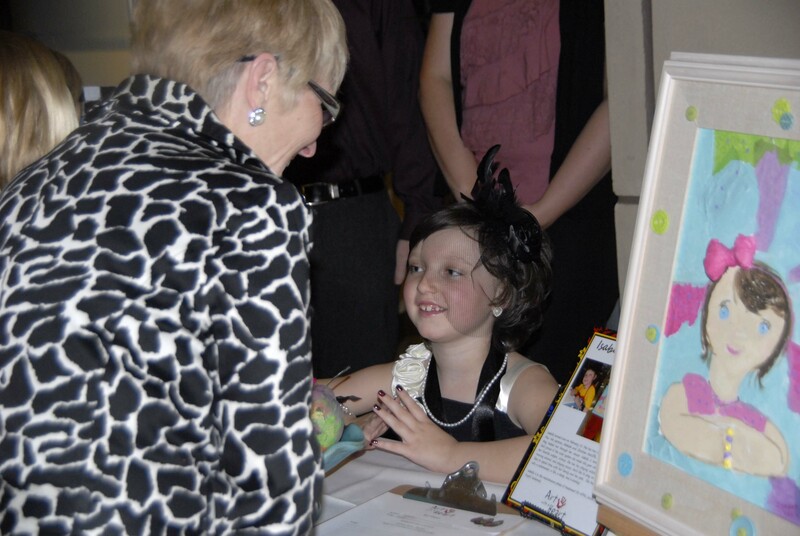 Thankfully, her doctor, understanding the importance of these events to children, allowed her to go off her meds for two days so she was able to attend without any pain or throwing up! 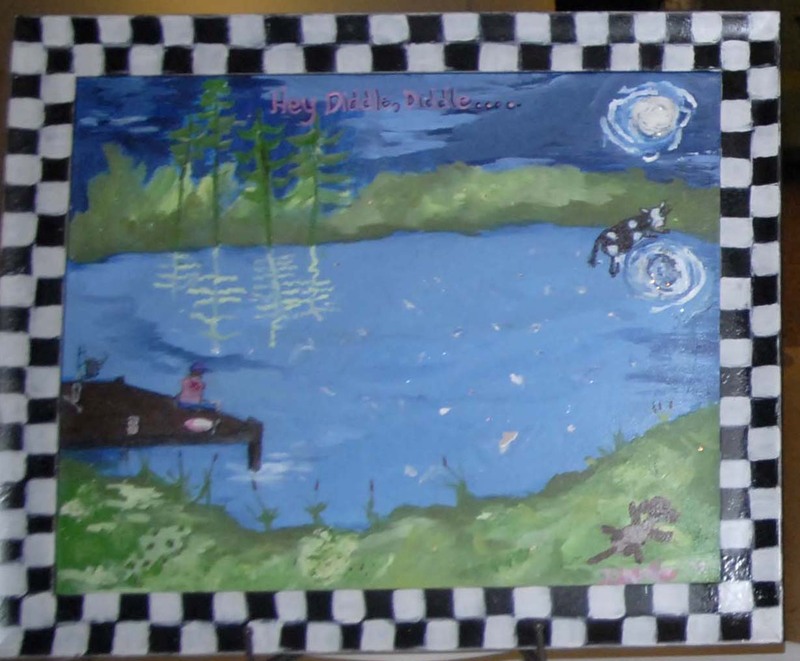 Her two main paintings were Hey Diddle Diddle, a piece that she envisioned from the popular nursery rhyme that instead depicted her sitting on a dock of a lake with a cow jumping over the reflection of the moon. The little dog, the cat and the fiddle and the dish and spoon were also there along with fireflies, trees and a tranquil night. Her second piece was a self portrait, that looked remarkably like her complete with cute little freckles smattered across her little nose and bright blue eyes. This one was in an adorable frame decked out with colorful buttons that perfectly match her bright personality. The evening began with a twilight limousine tour of downtown Oklahoma City and a red carpet entrance on the arm of a dashing OU football player. The OU and OSU Tri Deltas plan and host the event and basically spoil all the children to pieces. 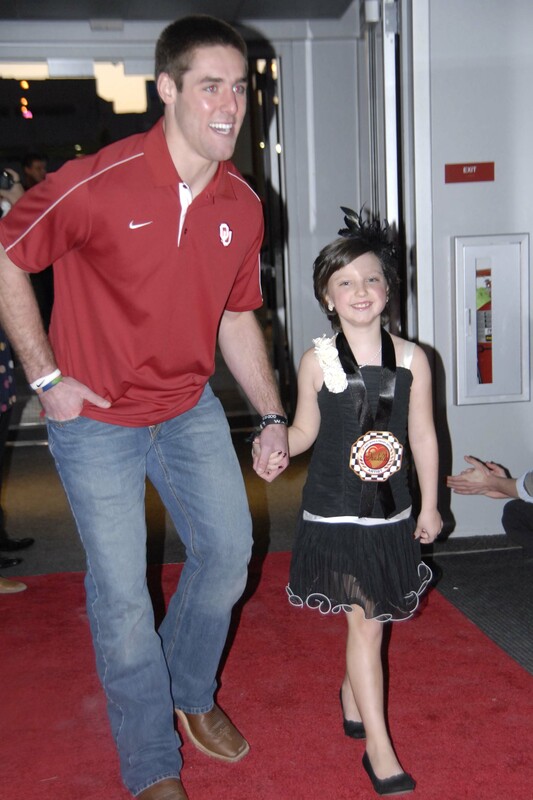 Isabelle entering with her OU football player. Isabelle looked beautiful in her black and white frilly party dress; she had picked it out months ago and refused to wear any kind of outer covering for fear it would impede the view of the roses on the top of her dress – she is such a girl! Her mommy warned her that it might be quite cold (who can know for sure in Oklahoma? ), but she was determined. So, with instructions “to not look cold” Belle entered the front foyer of Children’s Hospital without even the appearance of goose pimples! Such a trooper! With daddy, mommy, brothers Mac and Ethan. The night was a success; Isabelle was a hit with all the patrons – go figure. Two gentlemen in particular were very keen on being the ones to win the bids on her works of art. In the final moments, a last effort was made to top the bids for assured success. Her art instructor has worked with her for two years. Her own son is a cancer survivor. Her self portrait was purchased by one older man whose own granddaughter was in her fifth year of Art With A Heart. He purchased her self portrait with the express purpose of returning it to Isabelle! This gentleman kept returning to make sure he had the bid. 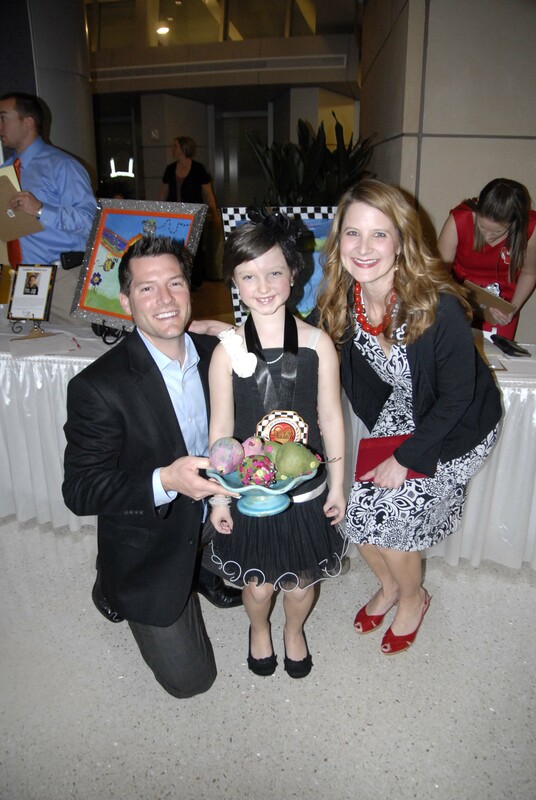 The winning couple with Belle’s self portrait. 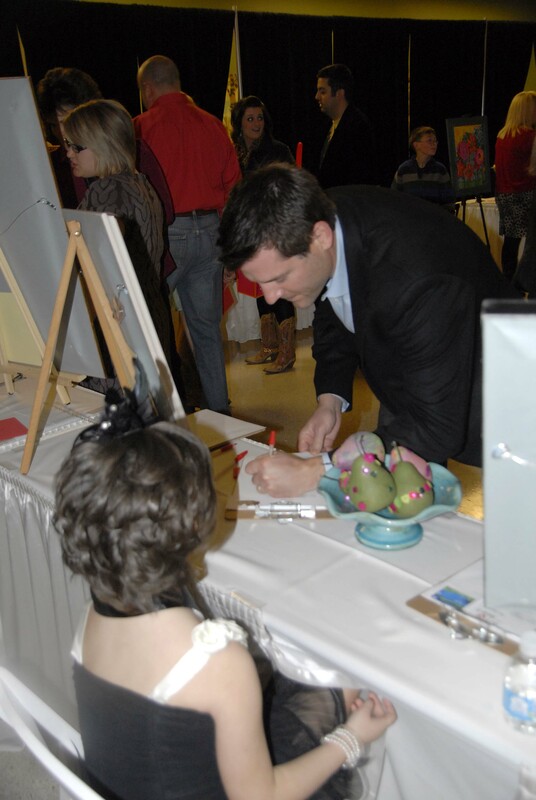 Isabelle didn’t understand that he wanted to give her back her painting. I think she thought he wasn’t going to buy it. 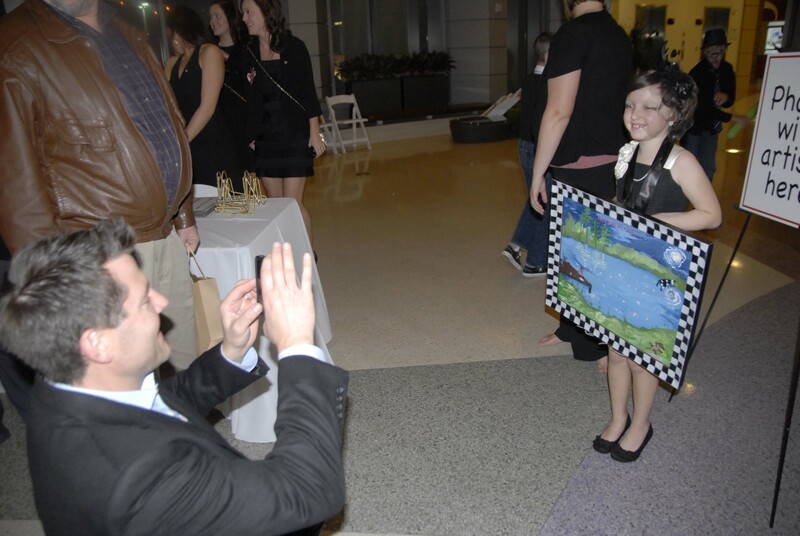 Rebekah was brought to tears when the kind man gave Belle her painting back. The nursery rhyme painting and the beautifully crafted bowl of pears were purchased from a young man and woman who has a daughter just one year younger that Belle. 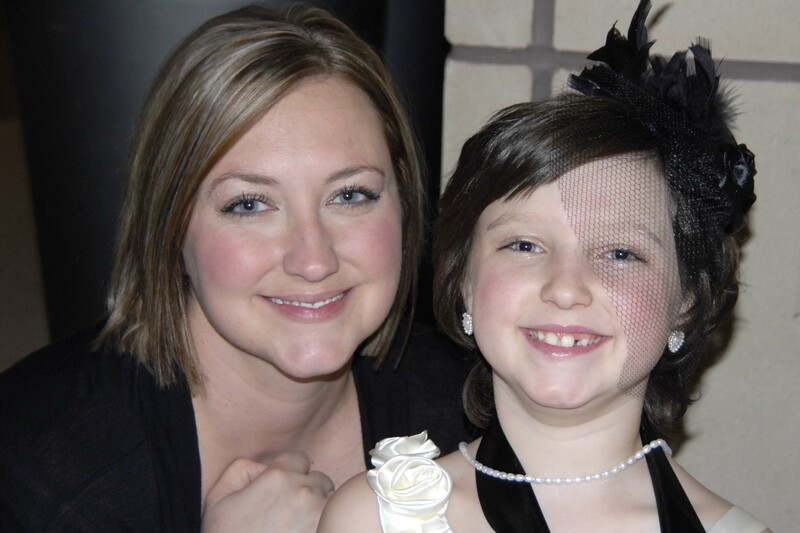 The wife survived cancer while she was pregnant with their daughter. The couple who bought Hey Diddle Diddle. 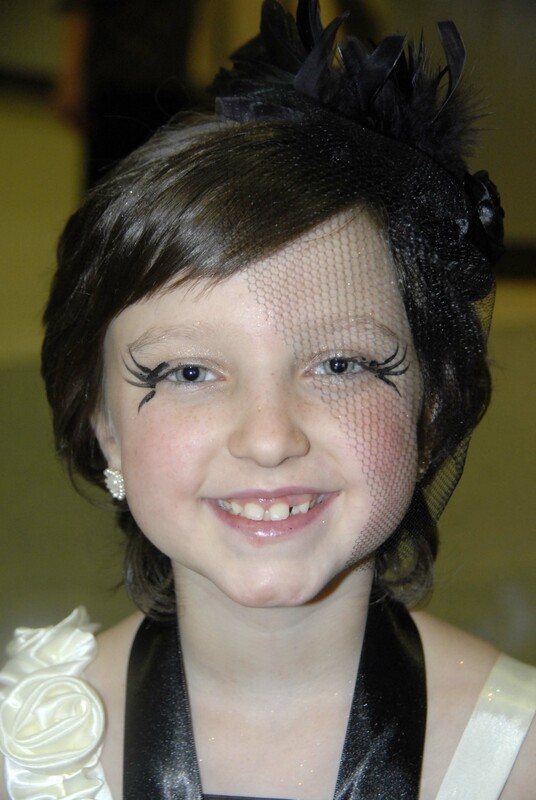 They have a daughter Isabelle’s age and she is a cancer survivor herself! 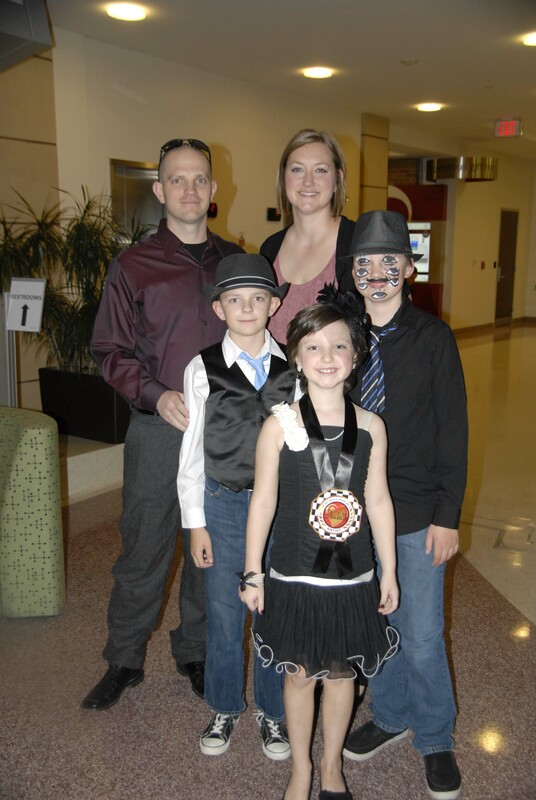 She was diagnosed with Lymphoma while she was pregnant. 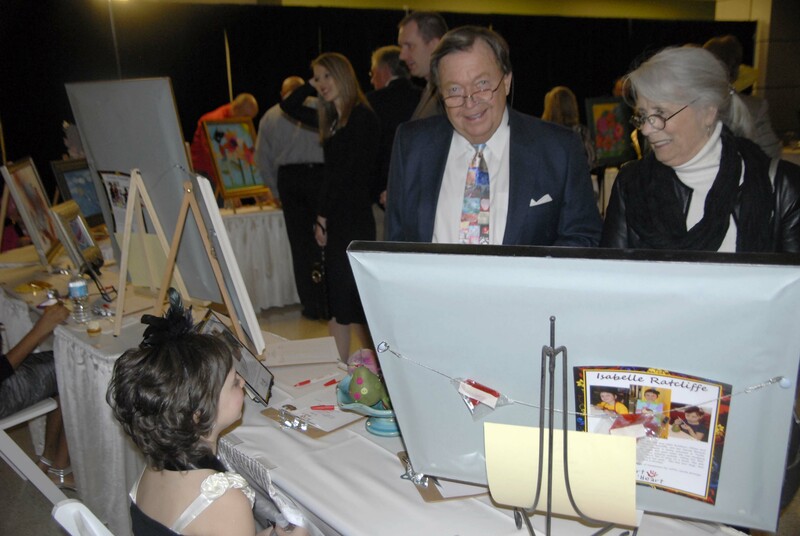 As Isabelle was making ready to return home where she could dream of future art projects, limousine rides and pretty dresses, the second art patron returned to the hospital and presented Isabelle with her Hey Diddle Diddle painting. He said that he and his wife decided as they were driving away that they wanted this young beautiful artist to have her work back! 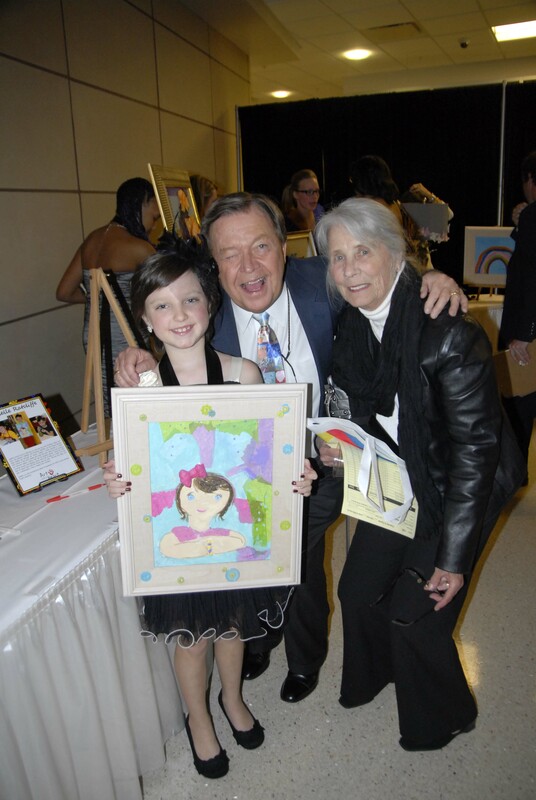 Isabelle was so touched by this couple’s kindness when they decided to give her back her favorite painting! It is times like these that I am glad that I am part of the human race! 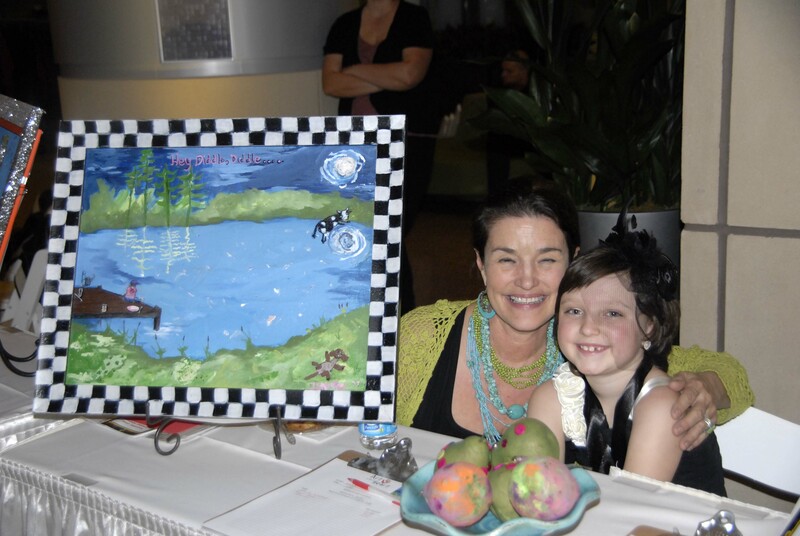 If you would like to look at Isabelle’s art, go to http://www.artwithaheartock.com; click on Fletcher’s Corner and then the 2013 artist. 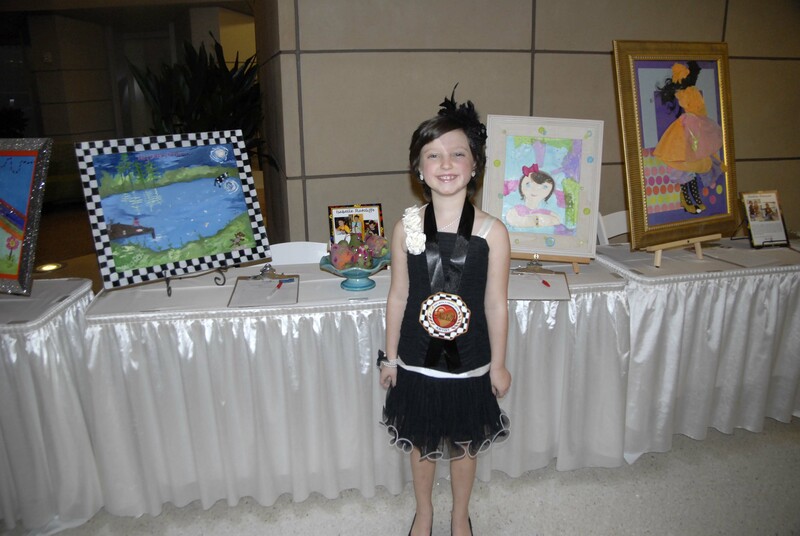 You can even help support childhood cancer care and research by putchasing a reporoduction of Isabelle’s or another’s arts. There really are some fine pieces in the collection. Isabelle’s are numbers 16 & 17. If they don’t come up, wait a day or so and they should be uploaded. I was told that they were there today, but only the party pics were up. 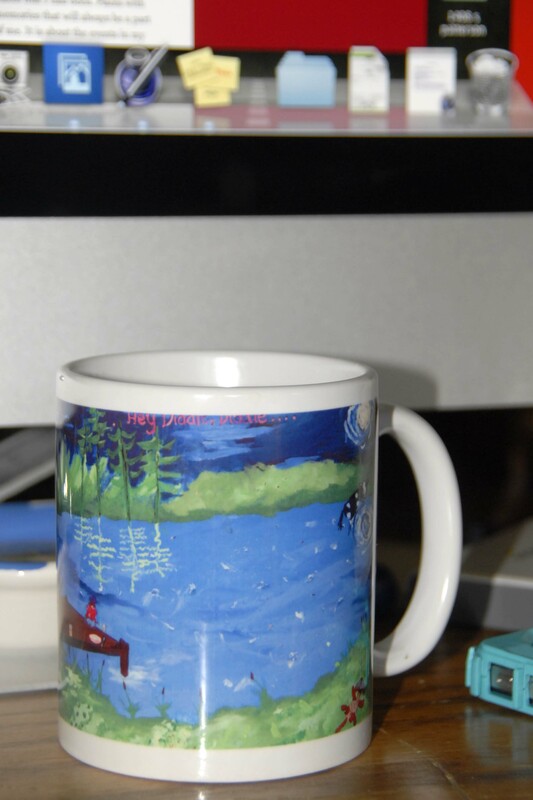 This is my new tea mug. It is hard to see the whole scene, but I keep rotating it. Items like this and many more can be purchased at Fletcher’s Corner to help in the fight against Childhood Cancers! I have only picked up one piece so far, but am going to order more soon! I love my little Belly Dancer! This week’s photo challenge is FORWARD. As I’ve struggled to figure out what this means (more specifically to me), I came up with how MY life is moving forward. The biggest forward event for me has been the loss of a whole ME! I struggled with being overweight most of my adult life and recently (two years this month) lost around 175 lbs. So, I decided to repost this entry about my journey to a healthier me in this week’s challenge. Sorry it is more words than photos, but then again, I’m a writer too. This week’s photo Challenge was KISSES; I imagine this is in honor of Valentine’s Day. But when I think of kisses, I don’t gravitate toward just the romantic kisses; I also take in all the sweet tender moments between family members.I am just as smitten with warm hugs and embraces of every kind. A hug can as powerful as a kiss, it is the type of photos that I tend to get more often than not (except when I’m shooting a wedding, then there are enough kisses to fill a candy bowl). Here are a few of my favorite kisses, hugs and everything in between! As usual, I have had trouble limiting myself, sorry! This is from a blogging friend of mine. I can’t stop looking at it, it is simply stunning! Her name is Lynda Michele. I’ve never accepted the challenge of posting on Travel Theme Photos. Mainly because I don’t get to travel much; I want to, I just don’t have the means right now. 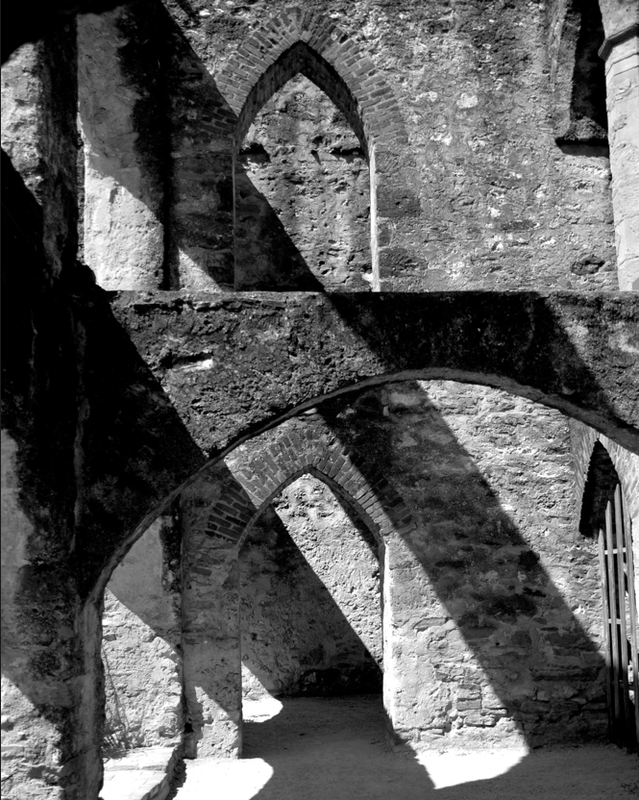 That said, when I saw this one on shadows, my mind immediately went to some images I shot on a short trip to see The Alamo in San Antonio, TX. 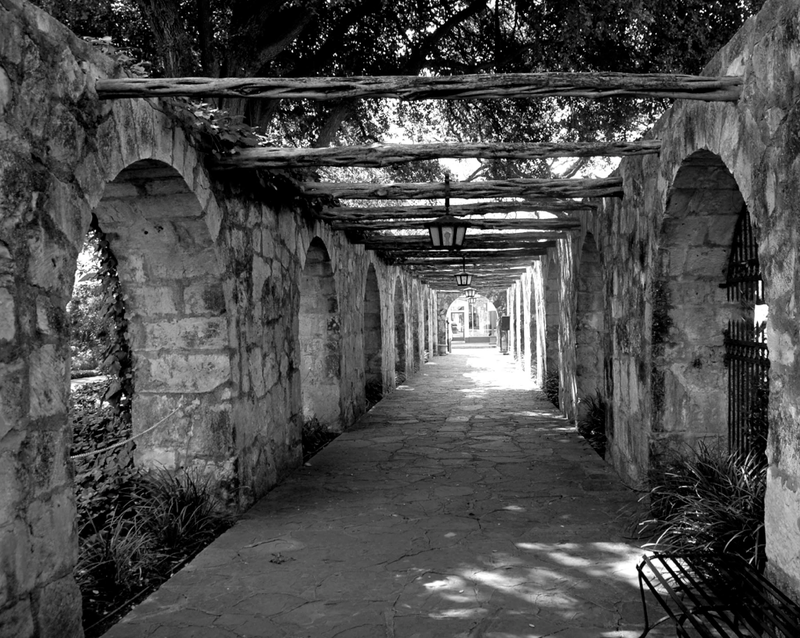 I love architecture and The Alamo was chalked full of old missions that caught my attention. One photo completely stood out as a perfect candidate. 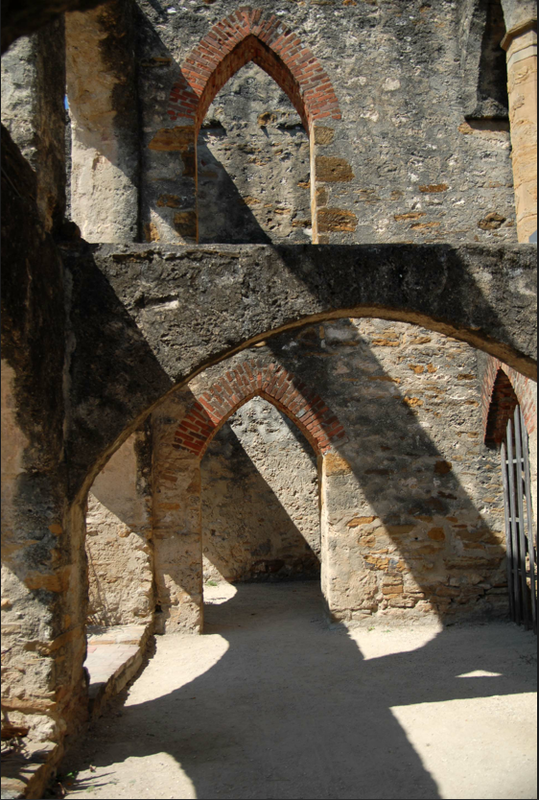 The repetitive arches and the perfect lighting created the most spectacular array of shadows. This one remains to this day one of my favorite images. I love it in both color and B&W. In color; these colors are muted, almost monotone, so the do not distract from the overall beauty of the stonework. 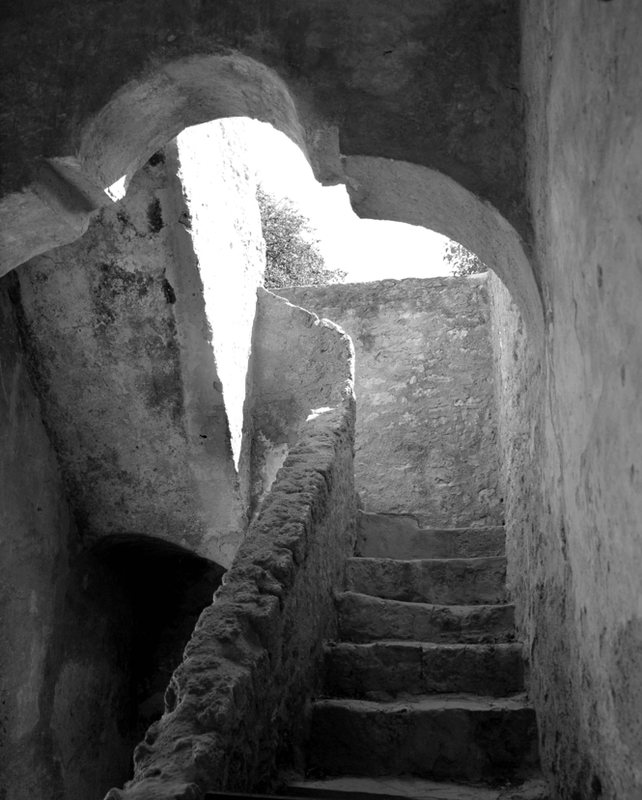 In Black and White; I love black and white, and what better subject than an old mission. In the following two, the shadows help set a stage. I hope you enjoy. Hidden from the sun, dark shadows make this underground chamber mysterious. I love that tune by the 80s rocker Blondie. It is catchy, melodic, singable, and it is the main ringtone on my iPone. To say I have an unhealthy attachment to my cell phone is probably an understatement. Do I constantly engage in text messaging, or am I on it 24/7? This is how I carry my phone most of the time (I’ll spare you the image of how it hangs on my person). 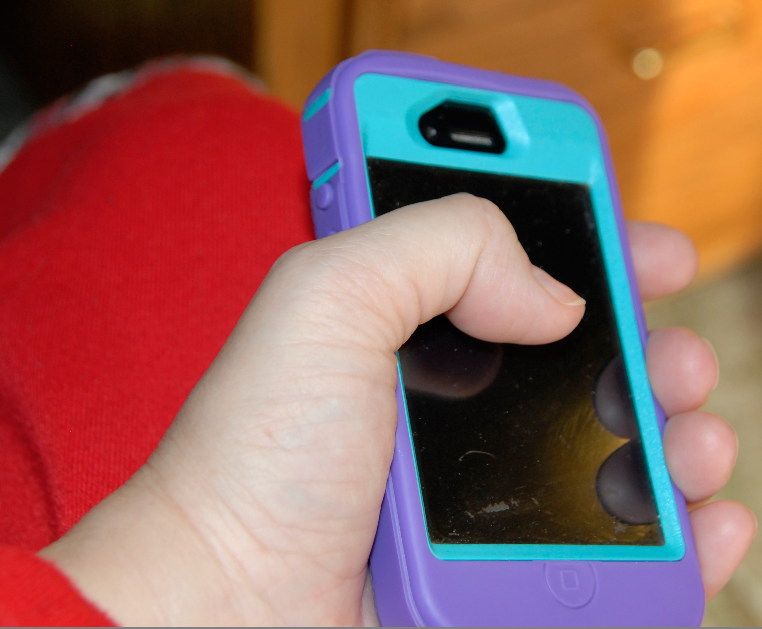 This is also the reason I require an otterbox – I drop it a lot! No, but I do keep in unnaturally close to my person at all times – as do a big part of the world’s populace. My attachment started nearly a year and a half ago when my granddaughter, Isabelle, was diagnosed with Leukemia at the innocent age of seven. (Like there is not an innocent age to be given the horrific diagnosis of cancer) Up until that time, I used my phone for work and as an emergency lifeline in case of car trouble and the such. I would come in at night and plug it up in the kitchen while I went off to technology free slumber. Her first round of chemo caused several reactions including mucusitis, which made her unable to talk, swallow, breath and caused her horrible pain and ate big holes in her mouth. This necessitated her first trip to the ICU and the morphine induced comma for over three weeks. Hence why I was so attached to my phone! 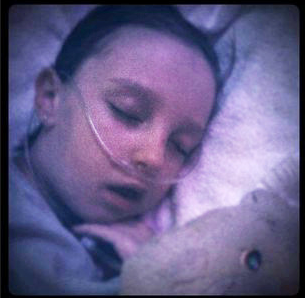 But when Belle was admitted into the hospital, I couldn’t imagine being out of contact for even one second. When I wake in the middle of the night, my first reaction is to reach up for the familiar feel of my phone. More often than not, it prompts inquires about the time, which leads to sleepless forays into all things iPhone. I wanted to make sure that my duaghter could reach me with requests, prayer needs or information at ANY hour of the day or night. I am never without it, and I mean NEVER! I even take it into the bathroom while I shower, fix hair and well, you understand. I carry in my hand or on my person at all times. If I don’t have a pocket (or it won’t fit because of the bulky otterbox), I place it in my shirt in my corset (okay, bra! I’m trying to be delicate)! Even though she hasn’t had a hospital stay in over a year. I am hooked. My need to stay connected to her progress has morphed into an obsession with technology. I honestly don’t even get that many calls – maybe a half a handful a day. But replacing the information addiction is the love of games, kindle, the time, iCal or Facebook status checks. And along with this new-found addiction is an inability to sleep or function without the familiar feel of that cursed rectangle in the palm of my hand. Even though, because of the continued chemo meds, Isabelle’s counts continue to be low, she is otherwise completely healthy and thriving! God is a miraculous God! 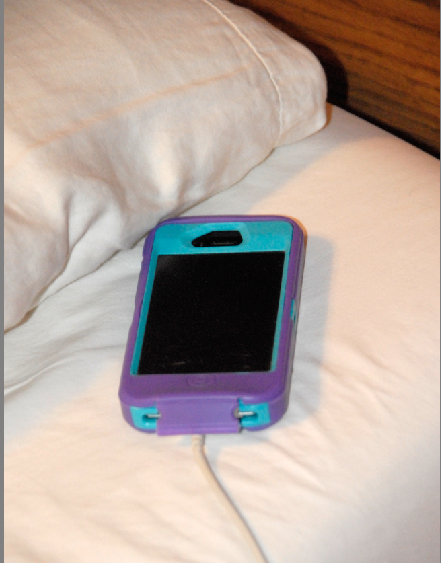 Every day, I promise myself that I will break the habit and move my phone charger back to the kitchen. And everyday, I panic and cling to it as a life preserver. Maybe tomorrow, until then – Call Me! I have to admit that I have been “out of church” for some time. I have gotten discouraged from what surrounds organized church; but mostly it has become an excuse not to fellowship with other believers. For whatever reason: laziness, fear of getting hurt or loss of faith, my husband and I have been inactive for many years. We are now trying to get back into the “swing” of things due largely from the encouragement from some dear friends. This morning, I opened my emails and found this story entitled Silent Sermon; I wanted it to share it with others in the hope that it would touch and speak to you as it has me. I pray that you have a blessed Sunday! 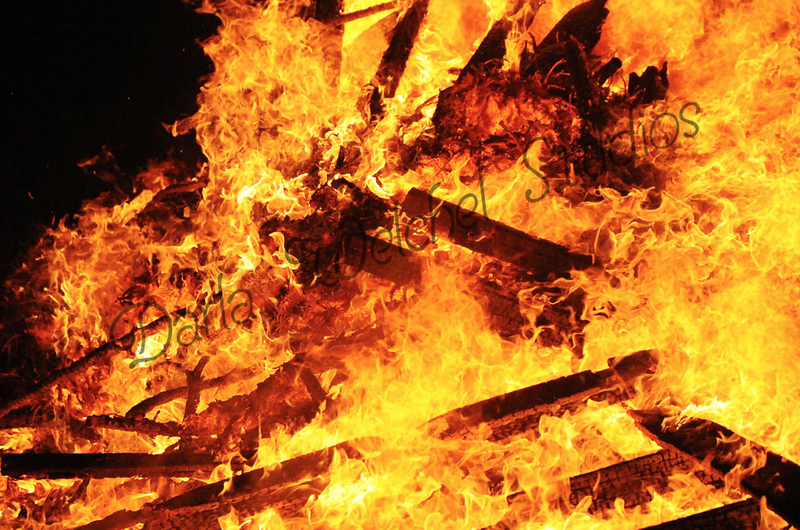 From my FIRE series. I love the beauty hidden in the hearth of a burning fire. It was a chilly evening. The pastor found the man at home alone, sitting before a blazing fire. Guessing the reason for his pastor’s visit, the man welcomed him, led him to a comfortable chair near the fireplace and waited. The host watched all this in quiet contemplation. As the one, lone ember’s flame flickered and diminished, there was a momentary glow and then its fire was no more. Soon, it was cold and dead.